You Can Obtain Your Own Title FREE! If there has never been a legal title issued in your name you will need to have the legal owner provide you with their legal title document correctly signed over to you. Without the legal title signed over to you, your state’s DMV will not issue you a title even if you have a bill of sale or receipt for the purchase. Solution: If you have purchased or acquired a vehicle and the prior title is not available, or the prior owner is not available, the least expensive option is to use an out of state title process to obtain your title. If the vehicle is more than 15 years old (2002 or older), the State of Vermont will accept a basic bill of sale to transfer ownership to your name. The other 49 states do not allow for bill of sale to transfer. Vermont issues a registration form of ownership for 15 year old vehicles. Since that is their version of a title, you can obtain this document in your name for $48 with just a bill of sale, and then present it to your state DMV who will then issue you a legal title in your name, in your state. This process has been used by car collectors, auctions, and brokers for years to solve difficult title problems. Until recently, our website has offered this as a paid service. Many websites still use this trick as a way to get titles for customers charging hundreds of dollars. You can do this yourself with no fees to title companies, just by sending the document directly to the Vermont DMV. The fee paid to the DMV is $48 ($76 for some vehicles) and they send you a legal title in your name directly! You will receive a registration / ownership document from the state of Vermont. (Along with valid license plates). Once received, you will bring these to the DMV / title office in your state to exchange for a title issued to your name, in your state. No service fees or title fees paid to online title agents are required. This Vermont registration title you receive can be used in all 50 states including New Jersey, Pennsylvania, Florida, North Carolina, Ohio, Colorado, New York, Louisiana, Kentucky, Missouri, Indiana, Oregon, Virginia, Nevada, Texas, Iowa, Michigan and Idaho. 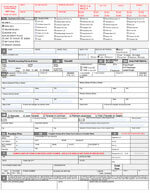 The State of Vermont does not issue titles for vehicles 15 years or older, and uses this registration form of ownership. Since all states need to recognize other states legal documents, this can be converted to the title in your home state. Taxes – If the vehicle transfer has sales tax due, and you have not paid them yet, VT will calculate the amount and mail you the bill for that. Recent registration – If a title has been issued in your state recently to someone else, try to obtain a copy of that registration first to eliminate conflicts in ownership. If you wish to hire a title agent to do this for you, you can find several companies who charge around $300 to perform this service plus the registration and tax fees. When researching title companies, be sure to verify that they have a valid license to perform the service, and have a physical address (not a PO Box). Beware of companies without an actual business location, using a PO box, or worse: misrepresenting a Post Office street address as their office. Bonus: In addition to the legal ownership documents, Vermont will also send you a license plate for registration and operation on the road. Want to find the appropriate paperwork for you? Please fill out the form below and we will show you the best method for you to get a title for your vehicle. I authorize CarTitles.com to email me. What information do I need to obtain a replacement title? You will need the vehicle identification number (V.I.N.) or hull identification number. The year and model of the vehicle, and new owners name is needed to process the title. In some cases, we may also need the vehicle weight or GVW. Car Titles In All 50 States. If you are a towing operator, auction house, vehicle exporter, auto mechanic, classic car owner, kit car builder, or an individual that needs a title for a vehicle, we will help you obtain a replacement for your title. We work with clients in all 50 states to recover lost titles. We specialize in classic cars and project vehicles that have been off the road for years. We also handle newer cars that the title has been lost. If you are in need assistance in getting a vehicle title, we can help. We can provide everything from simple duplicate title services to more complex cases. We have been providing services since 2007 and our professional team’s experience in matters of vehicle titling goes back to the 1980’s. TitleRecovery has been providing title services for clients since 2007. How much does the replacement title cost? Can you get a title for an abandoned vehicle without a title? 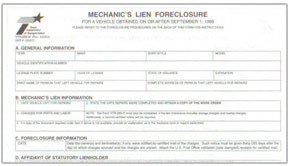 Can you get me a title for a repossessed vehicle without a title? Can you get a replacement title for a damaged title? Can you get a title in any state?